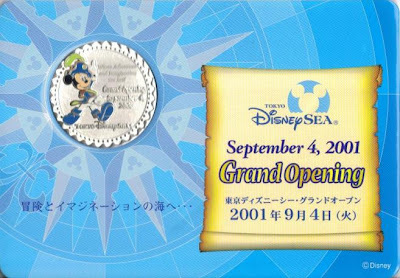 Tokyo DisneySea opened today, September 4th, in the year 2001. With land names like Mediterranean Harbor, Mysterious Island, and Lost River Delta it was clear that those with a palate for adventure would not be let down. 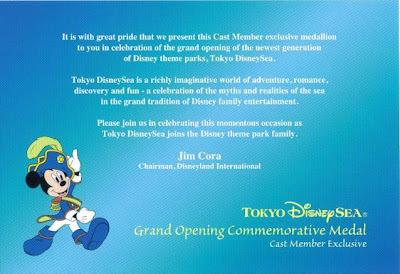 Since the day it opened Tokyo DisneySea has offered engaging experiences, and while some of these attractions and shows are adapted versions of beloved favorites there have also been a great many truly unique experiences over the years. 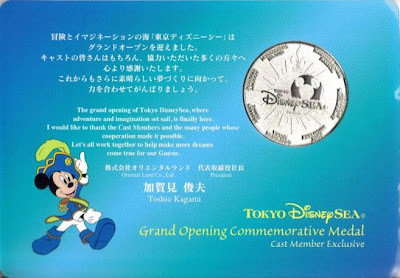 As with many park openings, the launch of Tokyo DisneySea brought with it a Cast Member Exclusive Medallion and a note of celebration.